ACP - Memory Upgrades 512MB DDR SDRAM Memory Module [CF-WMBA40512E-AA] - $47.77 : Dealpops.com, Good deals are keep popping up! "Manufacturer: ACP - Memory Upgrades Manufacturer Part Number: CF-WMBA40512E-AA Manufacturer Website Address: www.addoncomputer.com Brand Name: ACP - Memory Upgrades Product Name: 512MB DDR SDRAM Memory Module Marketing Information: Add-On Computer's entire line of memory modules allows you and your business to be more efficient. Our memory line includes the most reliable & high performing memory modules. 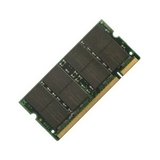 Product Type: RAM Module Memory Size: 512 MB Memory Technology: DDR SDRAM Number of Modules: 1 x 512 MB Memory Speed: 333 MHz Form Factor: 200-pin"